Tom Anderson is a life-long Alexandria native, and joined Anderson Funeral Home in 1980. He is a University of Minnesota Graduate in Mortuary Science (1980), and is a Licensed Mortician and Licensed Pre-Arrangement Agent. Tom is a member and former President of Calvary Lutheran Church, and is a former Director of Alexandria Chamber of Commerce and Alexandria Economic Development Commission, as well as a Kiwanis Club Member. He is currently serving as a University of Minnesota Regent. Tom enjoys golf and all sports. He is married to Angie, and has two boys, Kreg and Jack. 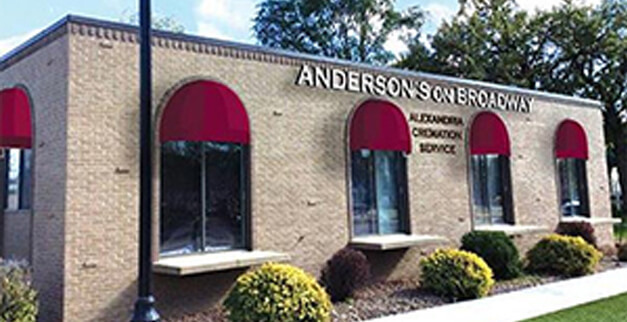 David Anderson is a life-long Alexandria native, and joined Anderson Funeral Home in 1985. He is a University of Minnesota Graduate in Mortuary Science (1985), Accounting, and Finance (1977), and is a licensed Mortician and Licensed Pre-Arrangement Agent. David is a member of Calvary Lutheran Church, a director of Minnesota State 4H Foundation, Douglas County Historical Society, and a Rotary Club Member. David enjoys boating and all sports. David is married to Lori, and has a daughter, Sophie. 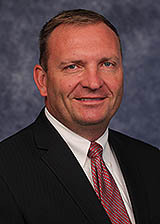 Robert Kensinger was raised in the Brooklyn Center area and joined Anderson Funeral Home in 1995. He is a University of Minnesota Graduate in Mortuary Science (1989) and also a Licensed Mortician. Robert is a member of St. Mary's Catholic Church, and is a Lions Club Member. He is married to Joanne Mairs Kensinger. Craig Buysse was raised in the Minneota area, and joined Anderson Funeral Home in 2001. He is a University of Minnesota Graduate in Mortuary Science (1994), and is a Licensed Mortician. Craig is a member of St. Mary's Catholic Church, a Sertoma Club Member and Knights of Columbus member. He enjoys golf and all sports. He is married to Tricia and has a daughter, Madeline and son, Ethan. Alan Iverson was raised in the Benson Area, and joined Anderson Funeral Home in 2004. He is a University of Minnesota Graduate in Mortuary Science (2004), and is a Licensed Mortician and Licensed Pre-Arrangement Agent. Alan is an Eagle Scout (1998), He is currently serving the Lakes Area District of the Boy Scouts as District Chair, a Sertoma Club Member and member at First Lutheran Church. He enjoys bowling, golf, being on the lake and being outdoors. He has two sons, Zachary and Brayden. Erin was born in California and moved to Alexandria with her family in 1971. She is a graduate of Jefferson Senior High School in Alexandria and received her Degree in Mortuary Science from the University of Minnesota. 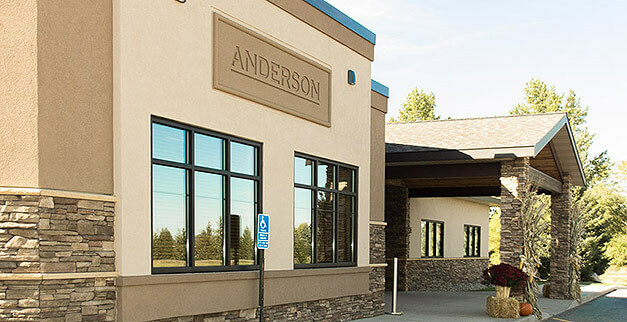 After graduation Erin returned to join her parents at Petermeier’s Alexandria Funeral Home and later the Anderson Funeral Home in 2007, when the two merged. The main reason I became a funeral director was my desire to help people. Growing up in funeral service I got to see how my parents helped families and this helped influence me to choose this as a career. Now I have the honor of serving families that were influential in making me who I am today. I am truly blessed to be able to give back to them and other families who I have met over the 22 years I have served this community. To be a part of remembering and honoring someone’s life is one of the greatest honors I can have. I feel it is important to give back to our community and I have enjoyed being President of Business & Professional Women and Jaycees as well as serving on the St. Mary’s Block Party Committee. All of these organizations and events have in some way made our community better, whether it was through Jingle Bells, women in the work force or just enjoying a day of fellowship as a whole community. My husband, Chuck and I both enjoy living in this area and feel blessed to be able to raise our two daughters, Ashley and Kaitlyn, in this community. As a family we enjoy time on the area lakes, attending our daughter’s events and doing different activities with family and friends. Christianna is an Alexandria native and graduated from Jefferson Senior High School in 2008. After high school she moved to Denver, CO and graduated from the University of Colorado in 2012 with a Bachelor of Science in Biology. From 2014-2016, Christianna attended medical school at Des Moines University in Des Moines, IA. In early 2016, her dad died unexpectedly, causing her to reevaluate her purpose and plan in life. After a one year leave of absence, she made the choice to become a funeral director instead of a physician. 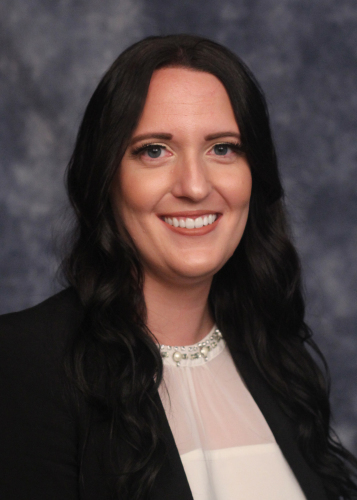 In 2017, Christianna enrolled in the Program of Mortuary Science at the University of Minnesota and graduated in the spring of 2018 with a Bachelor of Science in Mortuary Science. Soon after she joined the team at Anderson Funeral Home. Christianna considers it a privilege to be able to live in, and serve, the community she grew up in. Her dad’s death has allowed her to empathize with the families she serves, particularly those that have lost a parent at a young age, and she hopes to transform a sad event in her life into something positive for herself and for others. Christianna has been married to Paul Jahn since 2014. Their two rescue dogs, Benny and Jackson, are the light of her life. In her spare time she is an avid reader, science enthusiast, likes helping others with their tech issues, and enjoys a good podcast in her car on the way to work. Kathy was born and raised in Alexandria, MN and graduated from the Alexandria Technical College as a Medical Laboratory Assistant. 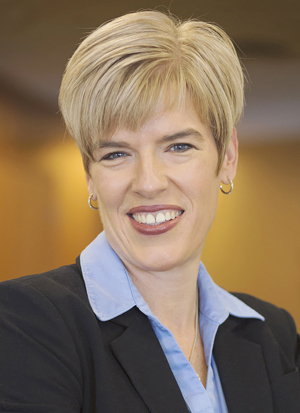 Her extensive career in health care has allowed her to follow her passion for serving others by being a good listener and providing compassionate care for their needs. In 2013, she was recognized as one of “The Lakes Area’s Top 20 Professionals.” Kathy has always viewed her work as her “vocation” and is now looking forward to the opportunity to serve families as a Prearrangement Specialist at Anderson Funeral Home & Crematory. In her spare time, Kathy enjoys a love of music and sings with her church’s Praise Team. She is a member of Rotary and works alongside her husband with the local group that coordinates free summer concerts in Alexandria. Most importantly, she is a wife, the mother of 6 children, and she enjoys 7 grandchildren. She loves to fish, bow hunt, and finds true beauty in the quiet of nature. Danielle was born in Burnsville, MN, but has lived in the Alexandria area since 2002. She graduated from Jefferson Senior High School in 2011 and later from Minnesota State Community and Technical College with an Associates Degree in Accounting. 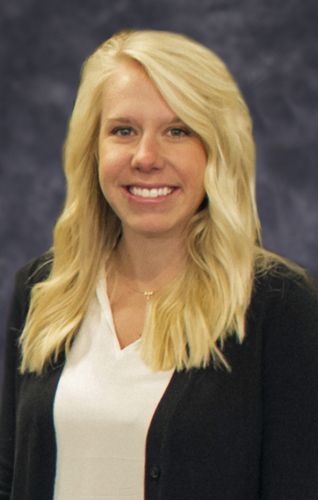 She joined the Anderson Funeral home team in 2014. Danielle manages the office and handles various accounting tasks. She cherishes every moment spent with family and loves being outside with her dogs and horses. Danielle is married to Chris Lehmkuhl and they enjoy raising their sons, Sawyer and Ian in the small town of Carlos and being around the Alexandria area. Jeri serves as the Aftercare Coordinator at Anderson Funeral Home and Crematory, and she helps coordinate our New Horizons groups. Jeri was widowed at a young age back in 2008. As she was going thru the grief process herself, she knew that she wanted to help others through the painful journey, to help lessen their pain. She knows and understands the “new normal” that families and friends experience as they move forward with re-discovering hope and joy in life again. Jeri is a semi-retired Realtor and has spent her entire life helping people. Jeri was raised in Parkers Prairie, Minnesota and Alexandria has been her home since 1985. Jeri has two adult childen, daughter Jacinda in New Jersery, and son Kevin and wife Amy in Ohio. Jeri is blessed with one grandson, Ayden.